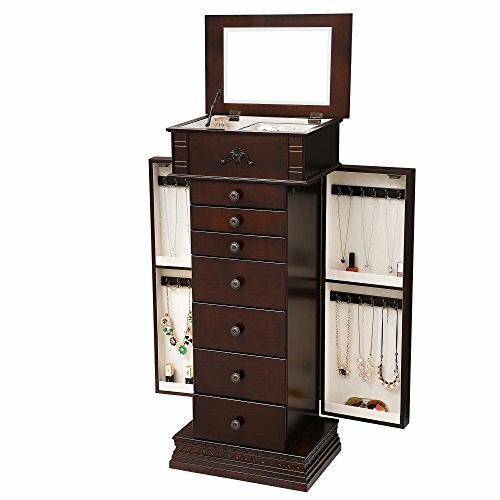 The extra large SONGMICS Jewelry Armoire is specially designed for someone who loves dressing up. Chic in design and delicate in details, it is a great gift for your girls and mother on birthdays, Valentine's Day or Christmas! Various sized drawers with different sections meet your storage demands well, including bracelets, rings, earrings, necklaces, sunglasses, watches, hairbands, and those beautiful but large jewelry organizer cases.